The electrical installation in up-to-date hotels must meet the highest demands on design, functionality, and ease of use. 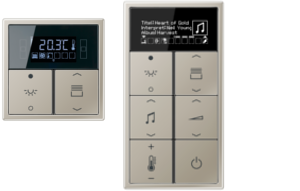 In this respect, JUNG sets standards for your convenience: From sophisticated systems for conveniently controlling light, temperature, and shadowing to the smart KNX technology that is used to purposefully network building features. Of course, you may match the design of all components and smoothly incorporate it into the overall architectural comcept. Pioneering: LED technology reliably guides the guests in the hotel area that is strange to them. Whether it may be the way to their own room or to the restaurant, signs and signalling elements that are backlit in colours and show lettering or common international icons provide easy guidance in the entire building. Similarly, the hotel room offers optimum convenience: From pilot light on sockets and switches to the "traffic light" signalling element for communicating will the hotel staff, nothing will be left to be desired. 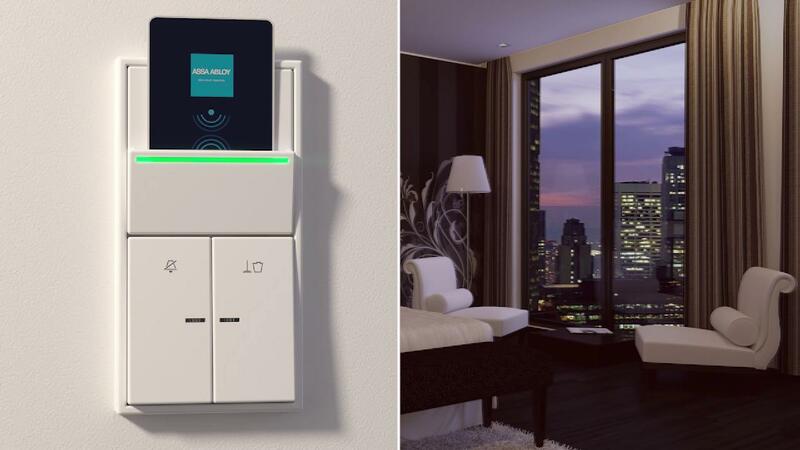 Access control with additional feature: Using advanced key card holders, the guest does not only has access to his/her room, but also may control power supply of the room. 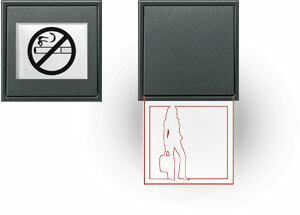 When somebody enters the room lighting will be switched on and the power supply circuits, e.g. for the TV system etc. enabled. 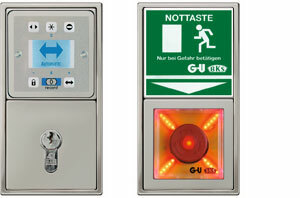 Optimum convenience for the guest, energy efficiency for the hotel operator: After removing the key card, room lighting and any other electricity consumers will be switched off. The guest's needs always have priority! Whetherswitching the light without touching a switch or individually controlled feel good temperature, whether automatically raising or lowering the blinds or music control: Advanced products and systems from JUNG set standards with regard to convenience and security – whether using a "conventional" electrical installation or the smart KNX system, the sophisticated solutions from JUNG will meet even the highest demands. Use smart KNX building technology to track all technical procedures and features in the hotel: Whether from a central place, e.g. from the reception, or from each room. Thus lighting and shadowing in the meeting room may be set before the participants' arrival. Or disable lighting and air conditioners in the room when the guest checks out to prevent waste of energy. And in the spa area, to mention another example, create the optimum feel-good temperature for the guest through a touchscreen. Maximum convenience and security! Whether in hotel or meeting rooms: Using multimedia components is daily routine here. When you use the advanced JUNG technology you will be able to provide your guests with sophisticated connection options for notebook, MP3 player etc. at a central place – whether it may be a business traveller or a tourist, all options are available. Proven in applications worldwide: To fully meet international requirements, the JUNG portfolio provides international outlet systems that comply with country-specific standards. Of course, also these are available in nearly all design ranges and thus ideally match the other components of the electrical installation in the hotel room. Of course, JUNG also provides the appropriate system components for special systems and regulations that are common in hotels. 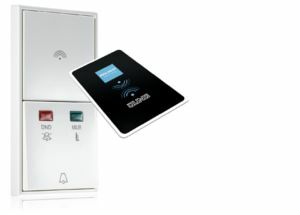 Whether “open door” buttons for automatic, sliding or fireproof doors, covers for emergency switches, or access control systems – there compatible design smoothly matches the hotel architecture.